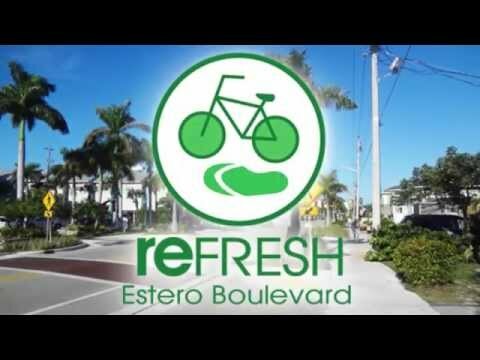 Chris-Tel Construction was chosen to provide Construction Manager-at-Risk services for the Estero Boulevard Improvements projects, a multi-phased project coordinated with other utility improvement projects for Lee County Government. The scope of work includes roadway and infrastructure improvements from Crescent Street to Big Carlos Pass bridge over a multi-year period to implement the Town of Fort Myers Beach Streetscape Master Plan, adding new force main, a center lane drainage system, improvements to sidewalks, addition of pedestrian refuge medians, trolley stop locations, lane realignment and expansion (in current right-of-way) to Estero Boulevard. Segment 1 of the Estero Blvd Improvements project is complete and was recently recognized with a 2017 Summit Award for Best Commercial Contractors Project Infrastructure – $5M-$8M+ from the Lee Building Industry Association. Chris-Tel Construction has shown excellence in communication with our staff and local stakeholders and diligence in providing quality management throughout. I look forward to working with Chris-Tel Construction for Lee County’s construction management needs for the Estero Boulevard improvements project for Segment 1 and for future segments.